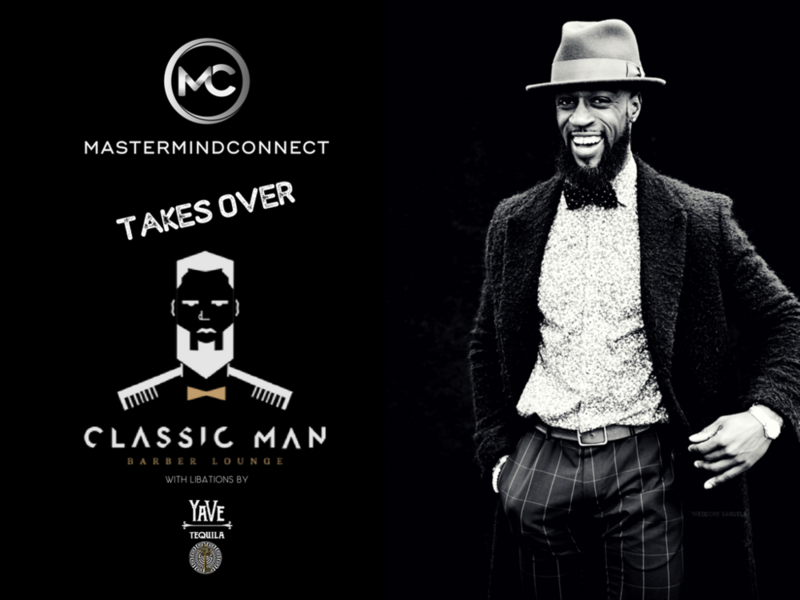 Mastermind Connect members will be taking over Classic Man Barber Lounge for an evening of pampering, fellowship and Yave Tequila cocktails. MC members are encouraged to book any two of the offered services for that evening here. Both services will be complimentary. Book early for the services you want. Should members choose to participate of the fellowship and cocktails that evening, but not the pampering, members can book a complimentary full service experience for another date/time under the standard option. Mastermind Connect members will also enjoy of a 10% discount for future services too! The minds behind Classic Man Barber Lounge know that the new-school professional with old-school sensibility needs a place that makes him feel cultured, but as comfortable as throwing on a blazer and Vans. The result is a grooming experience that makes any modern professional who calls The City his boardroom, feel corner office-ready. With a capable barber team that provides everything from classic haircuts to advanced grooming consultations, CMBL gives the customized care needed for every New York minute and moment.